Do something different for New Year this year – we’ve looked around the UK, Europe and the world to see who can send you into 2016 with the biggest bangs, the liveliest parties and most unusual experiences. Here’s our top 10, complete with deals to transport you straight into the celebrations! Everyone knows Berlin knows how to party (you knew that, right?) so it should come as no surprise that their New Year celebrations are among the wildest in Europe. The party starts on the two-kilometre stretch between Brandenburg Gate and the Victory Column - the entire way lined with party tents and food stalls. There will be live music, DJ sets, light and laser shows and of course a dazzling firework display at midnight. Don't expect to be in bed until the early hours! 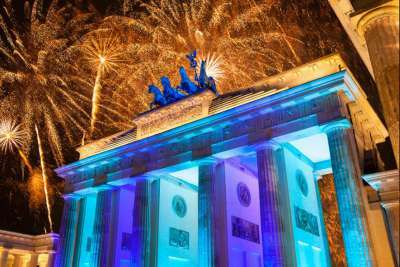 But if you want to start your New Year health kick promptly, Berlin holds an annual four-kilometre run on New Year's Day, just be awake by noon! Combine a winter sun getaway with an unforgettable New Year celebration. 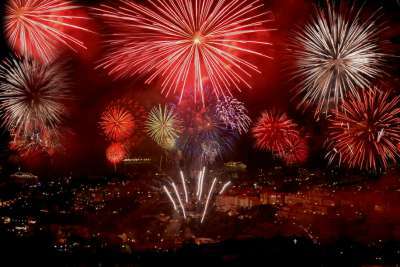 The sub-tropical island of Madeira takes New Year's Eve seriously - it's one of its biggest events of the year. Come midnight the skies will be illuminated with fireworks - a coordinated display set off from 50 posts across the island. It's made Madeira THE choice for cruise liners in the area to moor that night. But if you're on land you'll be hard pressed to pick which gala dinner event to attend. There's more New Year's Eve for your money in Reykjavik - there's only four hours of daylight at this time of year! 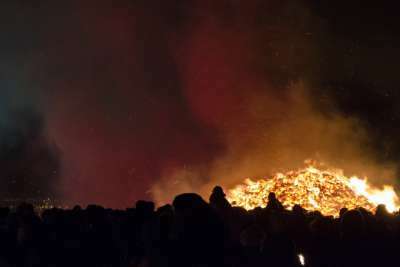 Rather than one large party, Reykjavik residents will celebrate New Year at one of many local bonfires set up around the city. There are no state-sponsored fireworks either - instead people bring their own, and they don't hold back. From 11.30pm onwards 500 tons of fireworks are going up into the sky. Then it's on to the pubs and nightclubs, which remain open until the early hours. If you just can't wait for New Year our tip is to head to Sydney, where you'll get to ring it in a full 11 hours ahead of the UK! There are a couple of other advantages too... 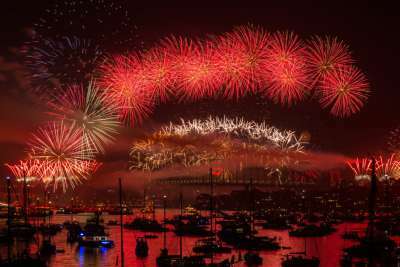 The fireworks over Sydney Harbour are nothing short of show-stopping and, unlike the northern hemisphere, the celebrations occur on a warm summer's evening! Head to Mrs Macquaries Point with a picnic and a supply of bubbly (arrive early for the best viewing spots) or consider hiring a boat if you're feeling really flush. Choosing Amsterdam for your New Year break is just one of the tough choices you'll have to make; there's simply so much going on! A massive firework display in front of the ship The Amsterdam in Oosterdok. Organized parties in Rembrandtplein, Dam Square and just about every other large public space. Wild events and top DJs in the clubs. 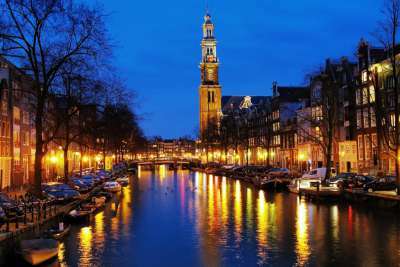 Or just wander the canals, join impromptu street parties and jostle for a spot on the bridges at midnight. Whatever you decide, it's traditional to fuel your celebration with oliebollen, these round doughnuts coated with icing sugar are sold everywhere in the run up to New Year. No need to look abroad if you haven't already tried Edinburgh's three-day-long Hogmanay celebrations! 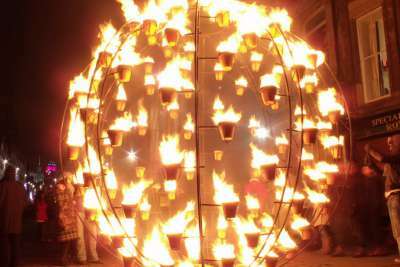 They kick off with a torchlight procession on 30th December. For the 31st there's a huge street party culminating in a countdown to the bells, midnight fireworks from the castle, and singing Auld Lang Syne with the entire city. And the morning after it's time for Loony Dook, AKA a swim in the freezing waters of the River Forth! Many of the events are ticketed, and there are still some tickets available here. It's tradition in Spain to eat 12 grapes at midnight - one with every strike of the clock. It's trickier than it sounds. Head to party central in Madrid (Puerta del Sol - it's Madrid's main plaza) and you'll find yourself surrounded by 1000s of revellers, each with a mouth full of grapes at midnight. 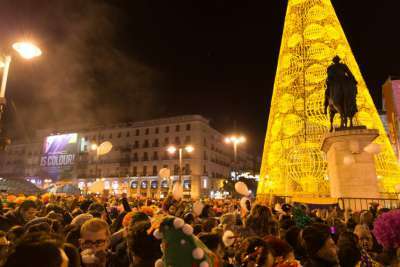 The crowds gradually disperse looking for more Spanish New Year traditions: all-night-long celebrations, cava and churros. New Year in New York surely needs no introduction. It's the iconic ball dropping in Times Square, 100s of happening parties all across the city, and fireworks above the Hudson. Thankfully this city also does a mean brunch to help you recover the morning after. For a classical take on New Year's Eve try Austria's elegant capital. You could attend the grand ball at the Imperial Palace, or the exquisite four-course gala dinner at City Hall. 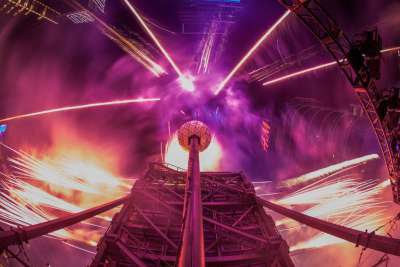 But for a more affordable option, Vienna also lays on the Silvesterpfad (New Year's Eve Trail). At this busy street party there's musical performances from waltz and operetta to pop. 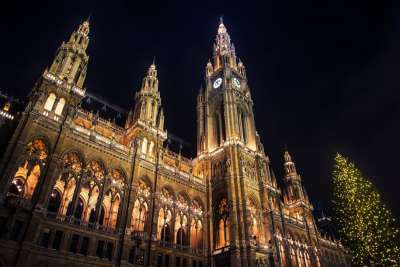 The classical tradition continues on New Year's Day - the Vienna Philharmonic's New Year's Day concert is broadcast on a big screen in front of City Hall. 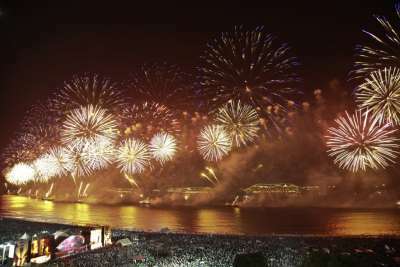 After carnival, New Year's Eve is the biggest event in Rio's calendar. An astounding two million people pack onto Copacabana beach to listen to live music from stages set on the sand, and to see the entire bay lit up by the firework display that erupts from barges off shore. Wear white (Brazilians say it brings good luck), expect to be doused with champagne when the crowd goes wild at midnight, and don't plan to stop dancing until the entertainment ends at 5am.